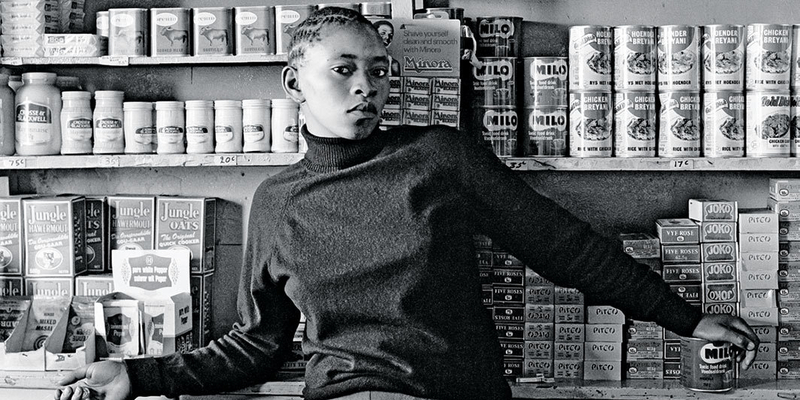 Photographer David Goldblatt was a subtle yet incisive witness to South Africa’s tumultuous system of apartheid. Produced in collaboration with the photographer before his passing in June, this retrospective will present images from two photobooks that defined his liberal-humanist method: On the Mines (1973), an investigation into the extensive capital and labor involved in digging for gold, and In Boksburg (1982), a dispassionate account of “legislated whiteness” in a conservative mining town adjoining Johannesburg. In the late 1990s, Goldblatt began documenting the vestigial traces of blue-asbestos mining in South Africa and Australia. The lesser-known color photographs that resulted from this project will be shown here alongside unseen material from his personal archive, as well as two series of portraits, “Particulars,” ca. 1975, sensual close-ups that reflect his enthusiasm for British photojournalist Bill Brandt, and “Ex Offenders at the Scene of Crime,” 2008–16, a sociological inquiry Goldblatt shot in South Africa and England.